Ileana Cabra has already obtained significant success as a solo artist, winning a Grammy Award for Best Latin Rock, Urban, or Contemporary Album for her debut album, iLevitable. However, prior to her success as an individual artist, Ileana’s big brothers, better known as Calle 13, were paving the way for their sister. Residente and Visitante started featuring Ileana’s vocals in their songs when she was only 16. By the age of 18, Ileana had performed on the Latin Grammys stage with Calle 13, opening the performance with her audacious vocals. Ileana’s solo album, iLevitable, is a bit more conventional than the music Calle 13 has been known to produce. The sound she has constructed with this album is earnest, and nods to many traditional Latin musical styles. She’s come a long way since her days in Calle 13, and has come into her own form of creation, which is far from the music her brothers produced. 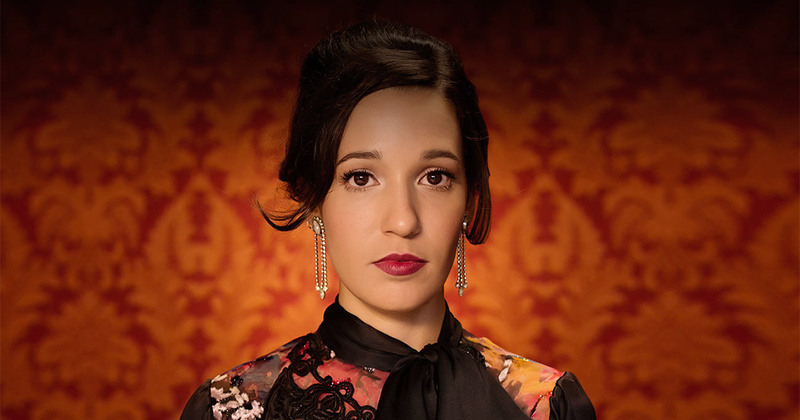 The temperament of her music has a much sweeter hue to it than the rigid, alternative sound that has brought Calle 13 success as well as controversy. The songs on iLevitable have a haunting disposition and are faultlessly imparted by her impeccable set of vocal chords. Her sound is timeless, and has been appropriately accredited since the release of iLevitable. She’s been praised for her ballads and old romantic air. An old soul at heart, Ileana describes this music as being “about giving everything I have and letting it go. Sharing what I am doing and enjoying it, that’s my main objective.” Although most of these songs are in Spanish, the emotional stance in each one is far from lost in translation. This album would be hard not to like, with its pure and plush sound and theatrical style. iLe is embarking on a North American tour this Fall, and you can see her at Trees in a show that is sure to be beautiful, don’t miss it. iLe will be performing live at Trees November 6. Buy tickets here! This entry was posted in Uncategorized and tagged calle 13, coming soon, Dallas, deep ellum, latin music, live music, trees Dallas. Bookmark the permalink. ← Coming Soon: Local hip-hop showcase featuring Buffalo Black, Lord Byron, & more!